The customer’s president, an industry veteran, envisioned a solution that would also employ a specific pump shaft seal design informed by years of field experience and observation. The Cascon team welcomed the challenge — and the input. Merging our familiarity with the requirements for pumping urethane components and the customer’s insights, we designed a simple gerotor pump solution to draw chemical directly from the tank manifold, creating a simple system that significantly improved high viscosity fluid performance. We incorporated all the desired features into the design, and implemented a unique set of manufacturing and test steps to insure the necessary metering accuracy — all while staying within the budget established for sale of the machine into the customer’s target market. 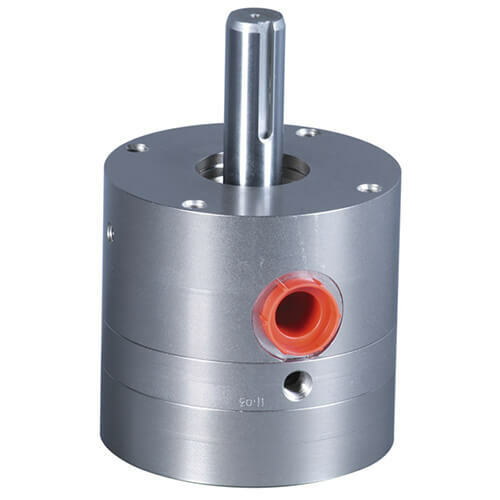 Keyed shaft: Compatible with either pulley or gear drive. OEM-compatible inlet porting: Streamlined design allows for porting directly from the customer’s fluid tank manifold. 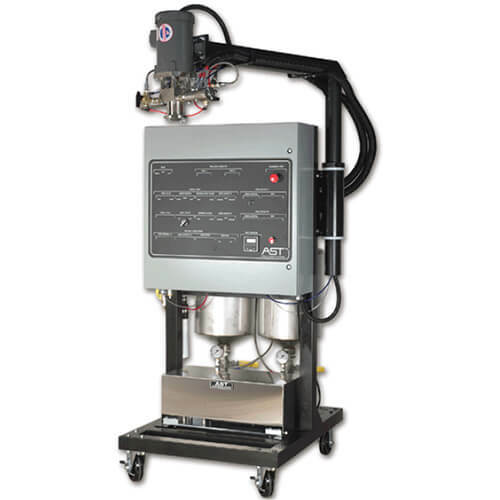 Integrated purge ports: Easy-access ports facilitate grease injection for wetted equipment storage. For more than thirty years, original equipment manufacturers have turned to Cascon for reliable, cost-efficient chemical metering pumps vital to the packaging, construction, energy, and other industries. Our team’s extensive experience with urethanes and other highly viscous chemicals gives us the insight and knowledge necessary to specify and produce the right solution for each application, and to anticipate challenges that arise in this demanding industry. Whether we’re engaged to configure an existing Cascon design, or to develop a new pump technology, we can offer a cost-effective solution tailored to your specific needs. Seamless integration with your OEM system. With a wide variety of interface options, we can work together to optimize your system design. Reliable and Durable. We’ve been supplying chemical metering pumps based on Gerotor and IGR technology for decades; their reliability has been proven. We have even developed a proprietary coating process for our cast-iron pump to ensure long pump life and reliability. Compact Pump Packaging. Gerotor and IGR pump elements are cylindrical in shape. 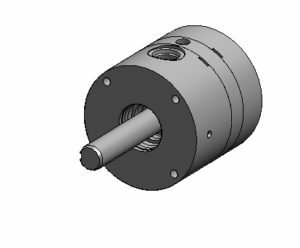 Our experienced designers can efficiently package this technology in the smallest possible form factor for maximum flexibility in the design of your OEM equipment.